Makarem Ajyad Makkah Hotel is ideally located within a 4 minute walking distance from the Haram on Ajyad Street towards King Abdul Aziz Gate. Serving Hajj, Ramadan, Umrah Pilgrims and Leisure & Business Travelers with their accommodation and lodging needs, the property is gracefully located by only 300 meter to the Clock Tower and has a smooth access to the Haram, Highways and Airports. Makarem Ajyad has a large, magnificent & comfortable lobby. 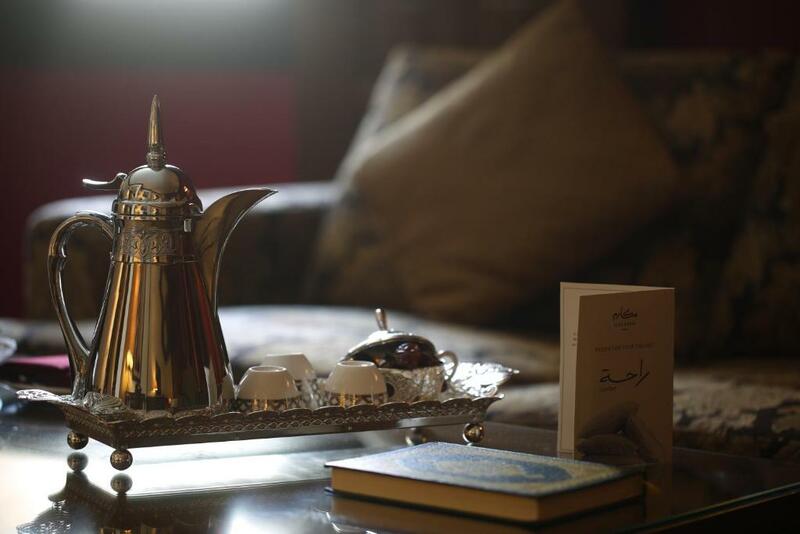 Services include spiritual concierge desk, Starbucks outlet, rent-a-car desk, gift shops, library with Islamic books, 24 hours room service, valet service, barber shop & free WiFi. The restaurant offers international, Arabic and variety of other cuisines. Hotel has a large banquet hall and multiple meeting rooms and outside catering facilities. 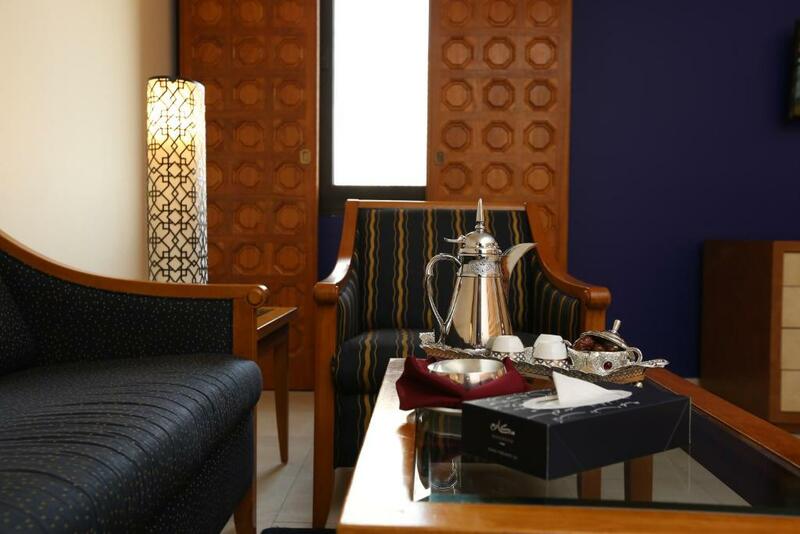 Ajyad Makkah Makarim Hotel is a 45-minute drive away from King Abdul Aziz International Airport. On-site car rental is available. Please note that because of local law, only Muslim guests can access the hotel and the Holy City of Mecca. *8 September until 15 December 2019. During these periods, guests may experience some noise or light disturbances, and some hotel facilities and services may not be available. Please note that when booking 8 rooms and more, different policies will apply. Please contact the hotel directly for more information. Dette rommet har moderne design, klimaanlegg, flatskjerm-TV, minibar og eget bad. Tomannsrom med satellitt-TV, minibar og flisgulv/marmorgulv. Dette dobbeltrommet har klimaanlegg, flis-/marmorgulv og minibar. Denne suiten gir utsikt over byen, og har klimaanlegg, stue med flatskjerm-TV, minibar og eget bad med dusj eller badekar. Opptil 2 barn under 12 år kan sove i senger som allerede står på rommet, for 100 SAR per natt. Alle ekstra større barn eller voksne kan sove i ekstra senger for 100 SAR per natt. Din erfaring vil være til stort hjelp for andre reisende. Vurder på en skala fra 1-5 utstyr som du har benyttet deg av under hotelloppholdet Makarem Ajyad Makkah Hotel samt la oss få vite hva du mener. Din mening er viktig! Jeg bekrefter at denne anmeldelsen er basert på min egen erfaring og er min oppriktige mening om dette hotellet (Makarem Ajyad Makkah Hotel), at jeg ikke har noen personlig eller forretningsmessig tilknytning til denne virksomheten, og at jeg ikke har blitt tilbudt noe insentiv eller betaling fra virksomheten for å skrive denne anmeldelsen.